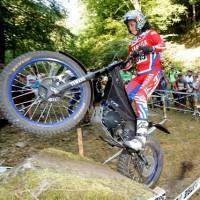 July 23, 2018 – The second and final round of the FIM Trial-E Cup took place from July 21 to 22 alongside the TrialGP Belgium, Round 6 of the FIM Trial World Championship in Comblain-au-Pont, Belgium. 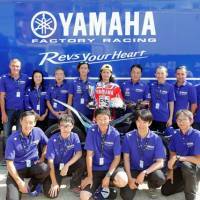 The Yamaha Factory Racing Team’s Kenichi Kuroyama rode the all-new TY-E electric trials bike to 2nd place in Belgium. Kuroyama, a regular competitor in the All Japan Trial Championship, was tipped to ride the TY-E in the Trial-E Cup in March earlier this year. Putting his knowledge and skills as a top contender in the series toward the TY-E’s development, the project moved forward with the goal of claiming the Trial-E Cup title. 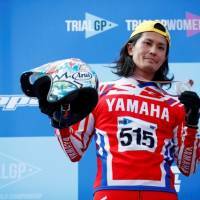 At the first round in France held on July 14 and 15, Kuroyama rode the TY-E to just two marks over his two laps of the 15 sections, clinching a brilliant win on his and the bike’s competition debut. Going into the final round in Belgium, Kuroyama was ranked 1st but only by three points, so winning the title would require the Japanese rider to win the race as well. Kuroyama got off to a good start and navigated the course well, but his 13 marks over the two laps put him in 2nd at the end of the round by just three points. While this tied him on points with his main title rival, the series regulations place priority on the results recorded in the final round, thus Kuroyama and the TY-E finished their Trial-E Cup debut campaign as the runner-up. “We got off to a good start at the first round in France by taking the win, but unfortunately we came in 2nd here in Belgium. While I had no problems physically, it was mentally tiring and that led to me making some mistakes and losing the title. The sections here were not so technical for us, but adjusting to the non-stop rule was challenging for me because in Japan, we can stop in the sections.